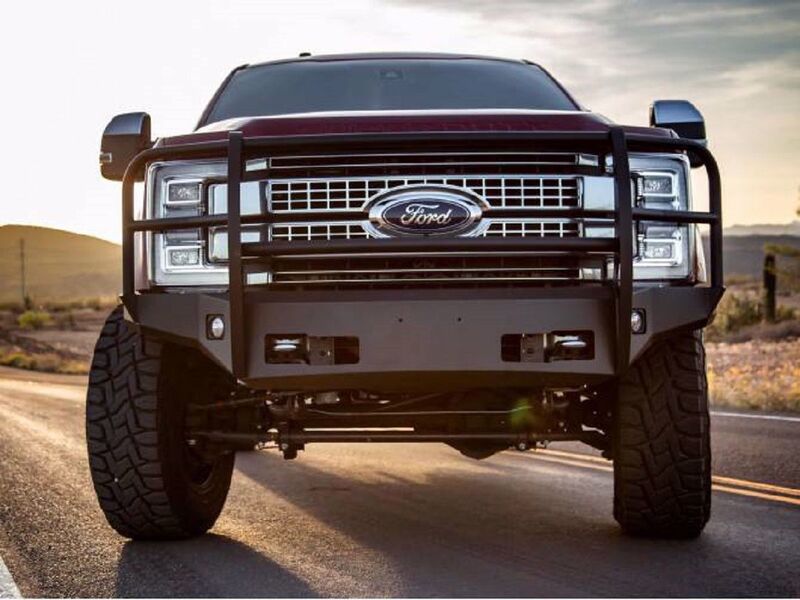 ICI Grille Guards offer a sleek design that conforms and compliments the lines of the vehicle. The outside wings attach to the bumper with custom stand-off locations to accommodate the vehicle's headlights and providing a cleaner look. 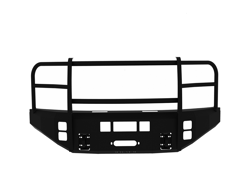 To match the radial curve of the front of the truck, ICI roll forms the 1.75 diameter tube to identically march the radius of the hood and grille of the truck. 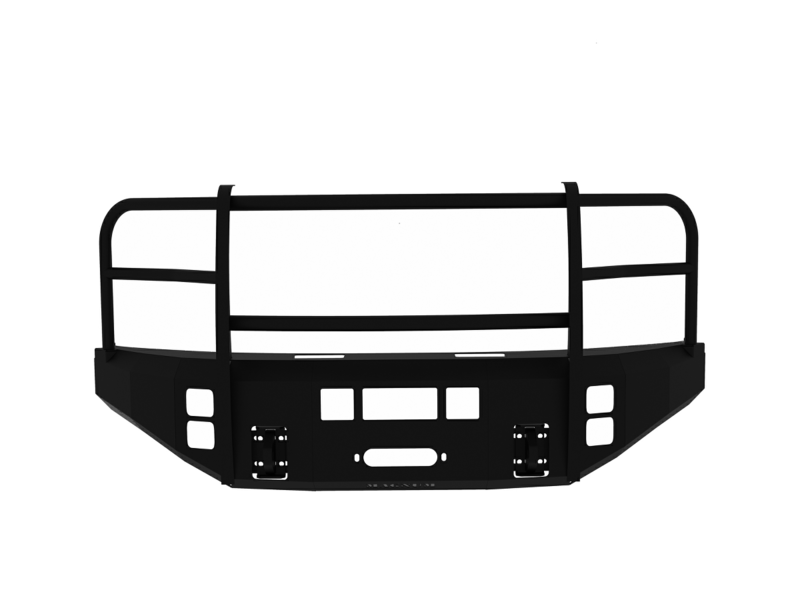 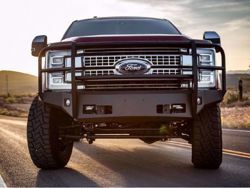 The Grille Guard 1/4in UP-Rights are tied into our internal bracketing which in turn are tied directing into the mounting brackets that are installed on the trucks Frame; essentially creating a TRUE One-Piece Construction Grille Guard and Bumper. 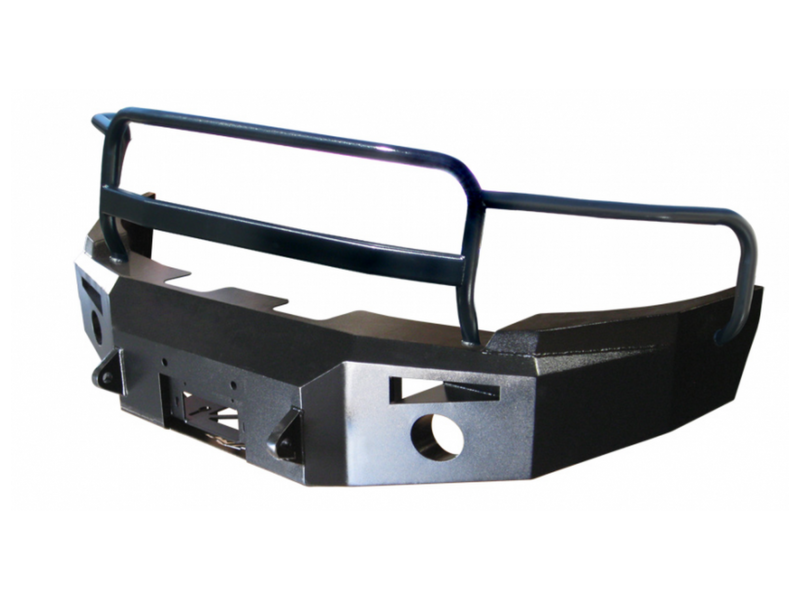 This provides maximum strength and support for real world driving conditions and performs providing real front end protection when driving on the backroads of the forest or ranch, to the urban jungle of today's city streets.